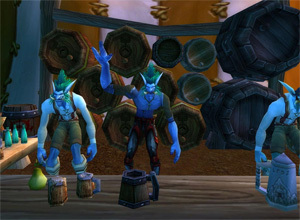 Farming for gold on World of Warcraft has never been an exact science. Sure, there are plenty of tips and techniques to making gold, but most of them involve using the auction house or mindless grinding on creatures and in instances. The problem with all of those techniques is that the amount of WoW gold you will earn is never guaranteed. Every time you farm or sell things on the auction house, you’re taking a gamble on how much WoW gold you will earn, but wouldn’t it be nice to have a guaranteed amount of gold every time? This is where a good dailies guide comes in. Running your daily quests is the only way you can be sure of exactly how much gold you’re bringing in. A good dailies guide like Dugi’s Dailies and Events Guide will take you through all of the Northrend dailies, including the Argent Tournament Ground and a full listing of all the daily prerequisite quests. No gold gambling required! A dailies guide is an important part for any WoW gamer who wants to make sure he earns at least a set amount of gold per day. Dugi’s Dailies and Events Guide even gives you a complete listing of all the speed gold runs. It’s basically a complete guide to completing all the daily gold quests as quickly as possible. After all, no one wants to spend all day farming for gold, so following a dailies guide will keep you on track and earning a set amount of WoW gold as quickly as you possibly can. Each of your characters is allowed to do 25 daily quests per day, so you will have to pick and choose which quests you complete. However, a dailies guide makes it very easy to select the quests that will earn you the most WoW gold in the shortest amount of time. Once you’ve completed a few days using a dailies guide, you’ll begin to get into a regular routine. You’ll know your daily circuit by heart and no longer have to keep looking it up in your guide. Once you get used to doing your daily quests each and every day, you’ll start to realize that you can complete all 25 daily quests in just two hours. As if guaranteed gold wasn’t enough, there are plenty of extras that go along with daily quest guides. Many of these guides include reputation guides to help you build up your reputation with various factions. Better reputation can earn you access to special rewards from these factions, and you will be able to save a lot of gold by having these higher reputations. After all, why would you want to pay 2,000 gold for something on the auction house when you can purchase it from one of these special factions for 200 gold? In some cases, you’ll even learn how to earn special mounts.